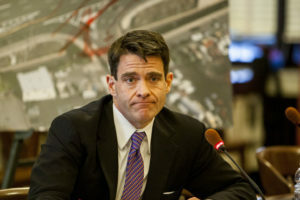 Are Bill Baroni and Bridget Anne Kelly–the codefendants in the Bridgegate trial–guilty? You bet they are. They are so guilty of not fully understanding that, no matter what they were talking about, their promiscuous use of email and text messages–relatively new and poorly appreciated methods of communication, laced with ambiguity–was just, well, dumb. Without email and without text messaging, Baroni and Kelly would not be in the federal dock now, charged with creating a traffic jam at the George Washington Bridge to punish a mayor, Mark Sokolich, who didn’t endorse their boss, Gov. Chris Christie. To the prosecution, that meant she was giving instructions to begin traffic jams. To her, she says, it meant relaying Christie’s approval of a traffic study that would cause traffic problems. If she hadn’t written that line–as she noted sardonically on the stand–“We wouldn’t all know each other now.” If she had just said those words only in a telephone conversation with David Wildstein, the Christie pal who is the government’s main witness, there probably never would be a trial because, unless their phones were tapped–and why would they be?–it would be Wildstein’s word against hers as to what was said. And Wildstein’s word is, well, not too good. Consider that, just before that email, Wildstein had sent one saying he wanted to talk to her about an “extraordinarily weird issue, even by my standards”–but he says he forgot what that meant and he forgot what he and Kelly spoke about. Of course, the prosecution, in its closing statement Friday, didn’t talk about that email and Wildstein’s porous memory about the telephone conversation that followed. That wouldn’t help the government’s case. But assistant US Attorney Lee Cortes made an enlarged graphic exhibit of “Time for some traffic problems in Fort Lee” and kept it in front of the jury while he spoke. He emphasized others as well. Her email “Is it wrong that I’m smiling?”–in response to a text from Wildstein in which he described Sokolich’s concern for school children. Bridget Anne Kelly (from The Daily Beast). Other text and email messages had Wildstein, a Port Authority executive, and Kelly, Christie’s deputy staff chief, joking about the possibility of creating “traffic problems” in front of the house of a person they both despised. Cortes said that proved they were thinking of Fort Lee. 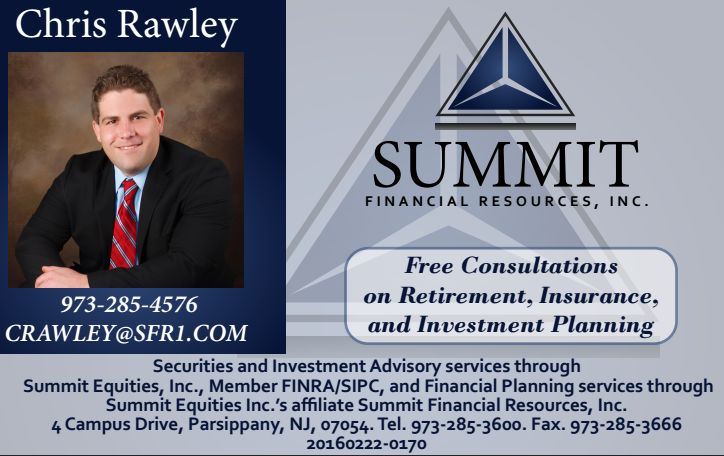 Then there were emails in which Kelly complained about an underling, Evan Ridley, meeting with the Fort Lee mayor–“He should not have met with Fort Lee without approval. I’m really upset with him,” Kelly said. That, Cortes said, meant she was intent on punishing Sokolich. Pretty much, without those emails and text messages, the prosecution’s case is David Wildstein, an admitted liar and prankster trying to stay out of jail by testifying against former colleagues. It isn’t just the emails. It’s the nature of emails and text messages. It’s how ambiguous they are and can be. Anyone who uses emails knows how many jokes have gone bad, how many expressions of emotion have been misunderstood, how many personal arguments have been generated–by misinterpreted, poorly crafted, ambiguous emails. People can’t see each other in email exchanges. They can’t sense sarcasm. They can’t hear inflections in someone’s voice. Context is often missing. Emoticons don’t really cry or knit their brows in anger. Does “LOL” mean “laughing out loud” or “lots of love”? The sender of an email or text message often cannot control how the receiver receives it–let alone a third party. A third party who might be an FBI agent. Or federal prosecutor with a case to make. Cortes pounced on this email from Kelly–“Ty”–because, he said, it meant “thank you” and was an expression of happiness that no one was answering Sokolich’s calls. “‘Ty’ meant thank you for not getting back to him,” Cortes told the jury. She said “Ty” meant “thank you” for something else in the same email. Baroni, perhaps, is in even greater trouble because of ambiguous emails–although he will probably be convicted of at least one count primarily on the basis of his cover-up testimony to the New Jersey Legislature nearly three months after the lane closures. Does that mean Baroni is happy? If he is happy, is it because he doesn’t like Fulop or didn’t want to drive to Jersey City or because he had a golf match scheduled for that day and now he can make it? Does it mean he is angry because he worked so hard to set up the meeting? Or, is he happy because, as Cortes contends, it means Fulop has been hit with “radio silence,” the Christie administration phrase for an almost puerile refusal to talk to politicians who don’t obey The Big Man’s whims. But Baroni has already hanged himself with this one by going on the stand and saying he was really talking about a groundbreaking ceremony for a program that, u fortunately for Baroni, never happened. People in the courtroom could hear Baroni’s cell door clink during that exchange. On Friday, during his summation, Cortes was loving it. Watching Baroni’s credibility crumble. “This is what you do when you’re caught! You make things up!” Cortes said. The first thought of many lawyers in that courtroom was–why in the world were Baroni and Kelly allowed to testify? Good cross-examiners–and Cortes is a good one–know how to set traps just like this. But faced with the ambiguity of many of the emails and text messages sent and received by Baroni and Kelly–interestingly enough, not to each other–their lawyers had little choice but to put them on the stand to clarify what they meant. That, of course, increases the chances they would be caught in such traps–and made to appear to be liars. Take Kelly’s “Is it wrong that I am smiling?” To Cortes, that showed she was happy that Fort Lee children–“the children of Buono voters”– were inconvenienced, maybe even suffering. Kelly says it meant she was happy that Wildstein’s plan to conduct a traffic study in Fort Lee was working. Kelly might be telling the truth–but it’s a stretch. Worst of all–and, if Kelly goes to jail it will be because of this–she admitted erasing the most damning email exchanges she could find. She wasn’t thinking that not everyone would be erasing those messages–Wildstein was crafty enough to keep them against the day that finally did arrive when he could use them as bargaining chips for his own freedom. During cross-examination the other day, Cortes made her admit those deletions time and time again. She said she was “scared” and “petrified” because she knew–and this is true–the Christie people, including people she loved and trusted, scapegoated her to save their own hides. They suddenly all had poor memories. More important, they didn’t commit things to emails or texts. Some even “lost” their phones. Without emails and other texts to erase, what have you got? Unrecorded telephone conversations. Wildstein’s battered word against Baroni’s and Kelly’s. Without emails and texts, this promising young politician and this mother of four young children would not be facing months in a federal prison. Hell, they wouldn’t be on trial at all. No argument here they are innocent. No argument they are guilty. Except, perhaps, of stupidity in a cruelly unforgiving age of electronic communications. Pertinent to emails and text messages: Whatever happened to Christie’s cell phone and the 12 deleted texts with Regina Egea during Baroni’s bogus traffic study testimony? (Both Christie and Egea suffered a suspicious memory loss re: the existence and content of those texts.) My recollection is that Christie’s phone vanished and then supposedly reappeared in the hands of his lawyer. Do we know if those texts were recovered? Was there any mention during the trial of Christie and Egea’s conversation? 2. When you have time, could you report on the literacy initiative that Ras Baraka had announced fairly early in his term? I think Dr Lauren Wells was on his staff then. Thank you.